Jessica M. Marsh is Of Counsel in the Minneapolis, MN, office of Jackson Lewis P.C. She is certified as a Labor and Employment Law Specialist through the Minnesota State Bar Association. Ms. Marsh’s traditional labor experience includes assisting both unionized and union-free workplaces facing union organizing attempts, picketing and/or strike activity, and union election petitions. Ms. Marsh defends employers responding to unfair-labor practice charges at the NLRB Regional Offices and on exceptions to the NLRB. Ms. Marsh also represents employers in labor arbitrations and advises on contract-administration matters. 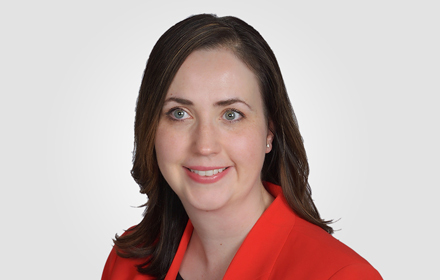 Ms. Marsh’s employment litigation experience includes defending single-plaintiff and class-action employment lawsuits in Minnesota state and federal district courts, and on appeals to the Minnesota Court of Appeals, the Minnesota Supreme Court, and the Eighth Circuit. Ms. Marsh also responds to charges of discrimination before various city, state, and federal administrative agencies.